Go behind the scenes in the Irish village of Portmagee, filming location for Star Wars episode VII & VIII. “The perfect trip for any Star Wars fan”. We invite any Star Wars fan to come and visit us to see where all the magic happened. 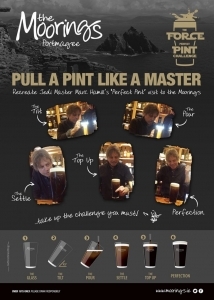 From the pre-production site located in the heart of the Moorings, to the very bar where Mark Hamill poured his pint of Guinness. 2 Nights Bed & Breakfast at The Moorings just seconds from the Marina in Portmagee. Visit the pre-production site for the new Star Wars movie located in the heart of The Moorings. Chat with Gerard, Patricia, the staff and locals about the making of the Star Wars movie here. 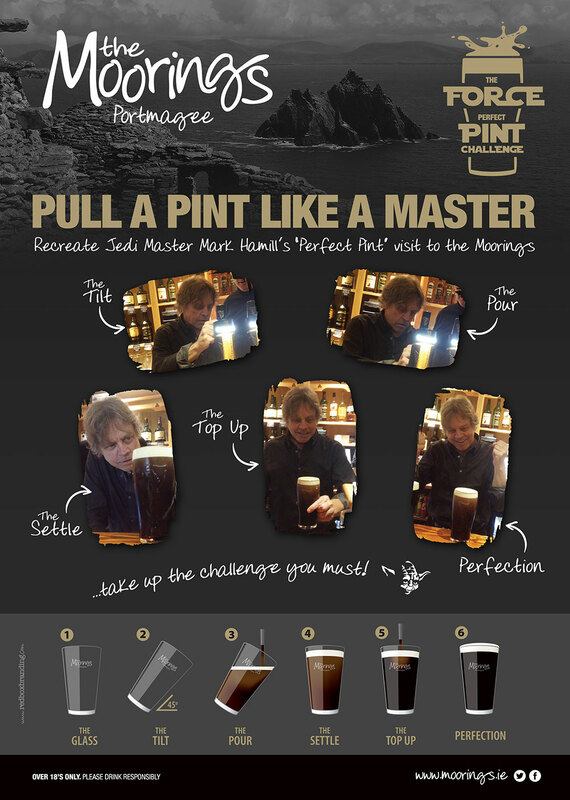 Take The Force Perfect Pint challenge and pull your own pint of Guinness in the same bar as Luke Skywalker. Take home your own Star Wars t-shirt. Call now to book 066 9477 108 or contact us here. Tailor made packages with private tour guide for groups of more than 10 people, contact us for more information.